Face Value: THIS is how to do a nonfiction cover. On top of an eye-catching title, Flesh & Blood So Cheap boasts one of the best covers I’ve seen in awhile, the kind that makes you want to pick it up and look carefully. So nice to see an image that’s not a stock photo, but a carefully selected image of young women working in a factory. And the flames creeping up along the side give the exact right terrifying effect without being gruesome. This is a cover to turn outward on the shelves of your library, bookstore or personal collection, because it’s going to grab attention. Does it Break the Slate? Yes, I think it really does. Historically speaking, we’re dealing with Slatebreaking subject matter, but beyond that I felt that Marrin did an excellent job here of framing this book to really focus on the women who worked, fought and died throughout the buildup to the fire, the tragedy and it’s aftermath. 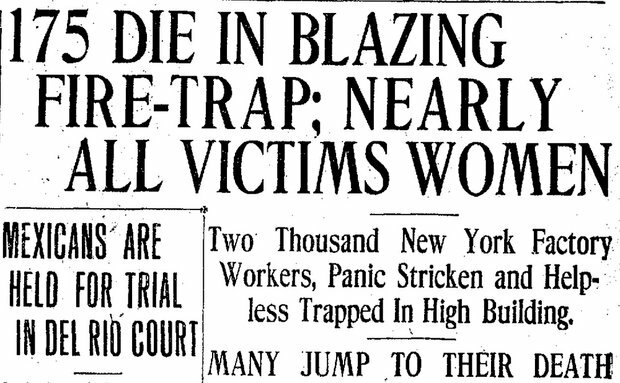 This is a story about women who died because women, immigrants and poor people weren’t treated as well as people of privilege. Albert Marrin acknowledges that fact, and contextualizes it into the present as well. This book is a great example of a “feminism as human rights” narrative, very worth reading. Who would we give it to? That’s a little trickier. The subject matter and presentation are fascinating, but the book itself is pretty wordy. It offers great information for a kid who’s already interested in the content, but I wouldn’t offer this up without some previous interest in the topic. 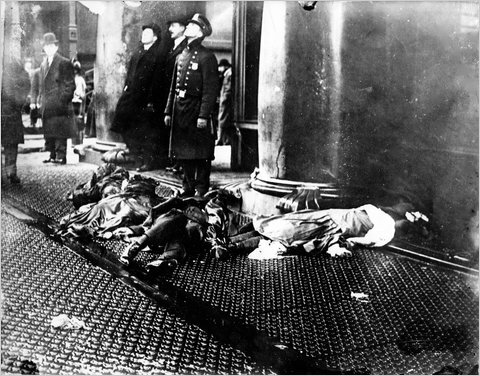 Review: The Triangle Shirtwaist Factory Fire is an incredibly compelling topic, and Marrin’s book shows a tremendous amount of careful research. One of the things I liked best about it was its overarching structure. Rather than simply a rehashing of the tragedy itself, in a lurid, tabloid style, with attention only to the most graphic of details, Flesh and Blood concerns itself with the events that led up to the fire, and what allowed it to happen the way it did. We learn about the day to day drudgery of working in a factory, we learn the cost of making each garment and the paltry take home pay, long hours and danger for each worker. 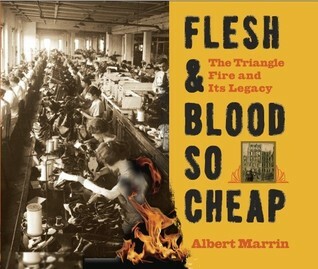 We learn about the transformation in the garment industry after the Civil War, the reason there were so many Italian and Russian Jewish immigrants working in these factories and the slow build to strikes and political action for fair pay and treatment of workers This book gives the reader a comprehensive understanding of what happened, why it happened and how it changed the world. Lacking the right to vote and consistently underestimated by their male counterparts, women in the labor movement had a harder battle and even more at stake. And yet, these women were profoundly essential to the change that happened, before and after the Triangle Fire. 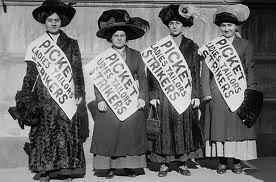 Despite the fact that this is not a character driven book, there are more than a few real-life Slatebreakers who make an appearance within its pages, incuding Clara Lemlich, a 23 year old immigrant woman who lead the strikes on the garment industry, Frances Perkins whose witnessing of the Triangle Shirtwaist Factory Fire led her into a lifetime of activism for workers’ rights, Alva Belmont, a millionaire widow and ardent feminist who supported strikes “as a battle in the wider war for the vote” and many other individuals who were moved to take action on behalf of their community. These women are highlighted as instruments of change on behalf of other workers. 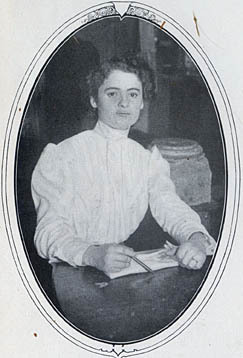 I love the description of Clara Lemlich, who “at first glance…did not seem like a threat to anyone” but was a natural leader who helped found Local 25 and spoke loudly and eloquently on behalf of women in the workplace, even when it resulted in physical harm. This is not just a story about women who were victims. It’s a story about women who spoke up and took action on behalf of themselves and their gender, despite expectations to the contrary. Marrin’s descriptions of the chaos, panic and devastation of these moments is carefully described and resonant with direct quotes and personal accounts from survivors. This book is not without it’s problems. It’s way too wordy, for one thing. Too much text on the page can be deadly for a kids nonfiction book, and (though the images that are included are powerful), we deal with a whole lot of text in working our way through this narrative. And Marrin has a tendency to rely on clichéd phrases in emotional moments. “Time heals all wounds, the saying goes” he intones at one moment. Another paragraph begins “New Yorkers say that March comes in like a lion…and leaves like a lamb.” Lines like this are jarring, and distracting from the actual story. “Short memories and greed are a deadly mixture. When things are going well, we are likely to forget the past. Short memories are dangerous, because they allow greed to take control. The result is disaster. Thus, eternal vigilance truly is the price of liberty and safety. And if this book can get young people to take an interest in workers rights in their own communities or abroad, well – that would be a pretty thrilling impact. Reviewed from Brianna’s copy, purchased from Amazon. 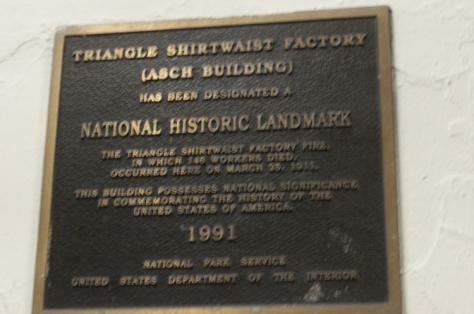 This entry was posted in Middle Grade, Nonfiction, Reviews and tagged Civil Rights, Labor, Nonfiction, Triangle Shirtwaist Factory, Women's History. Bookmark the permalink.